Do you know the ingredients for a good tomato salad? Of course tomatoes. Then dressing? Or layer with mozzarella cheese and top with oil and oregano? You can also enjoy tomatoes with onion and tuna, or garlic and feta cheese. But we have our own favorite recipe: cut tomatoes. Did you know that italians call tomatoes "pomodoro", literally golden pommel. It is often used as a symbol of the energy of the sun, which makes it grow, shining and red. 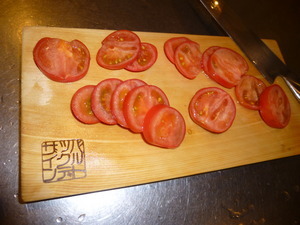 We invite you to try to enjoy these simple, sincere tomatoes "nature": with an oriental touch. 1.Find some medium size cherry tomato, not too ripe and not too green. 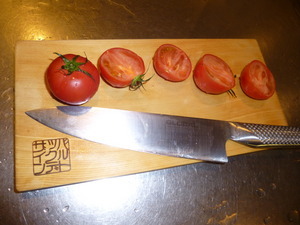 2.Then cut them on a hinoki wood cutting board. Plastic or wooden cutting board: how to choose. Is it better to use plastic cutting mats or wooden cutting boards? acryl cutting boards are similar to wood in weight with the extra advantage of being dish washer washable. Light weight plastic boards are economic and can replaced frequently. They can be bent and used as a funnel. Some people find it convenient to overlap them on a traditional cutting board and differentiate them for cutting vegetables, meat etc. The different qualities make it difficult to define for sure which type makes for the ideal cutting board. Most of the cooking experts make an obvious recommendation: you should keep both types in the kitchen! Plastic cutting boards may be preferable when cutting meat or poultry. For cutting vegetables or bread, be sure to go for a wooden chopping board. The experts have one more piece of advice that you should never forget: keep your cutting board clean to avoid food contamination and infections caused by bacteria such as salmonella. Plastic boards are apparently easy to wash, but you should be aware that microorganism tend to remain in the tiny indents created by the knife and proliferate. Wooden boards are porous but almost all laboratory test would show low bacteria content on the surface of a wooden cutting board. Is it just because the bacteria penetrate inside as opposed of staying on the surface? It may be, not all wooden boards are the same. 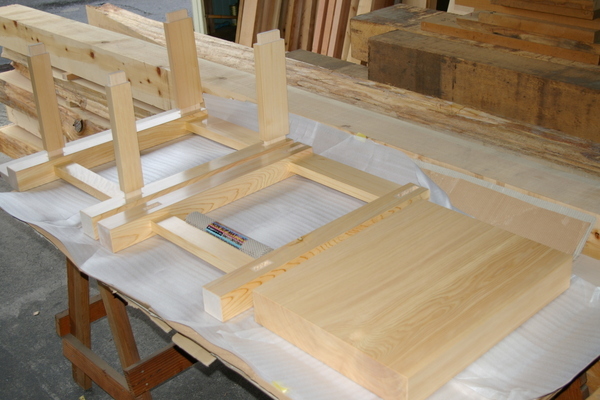 You can span from walnut, bamboo laminated boards, cherry or japanese hinoki. Of course the experts recommend the hinoki wood as its natural bactericidal property offers the best guarantee for the hygiene of your cutting board. Hinoki products are used as a base for many disinfectants used in hospitals, especially for preventing nosocomial infections. As a matter of fact hinoki oil is one of the few treatments for methicillin-resistant Staphylococcus aureus (MRSA) and other resilient patogens! We mentioned in a previous entry that there are many types of cutting boards. Discarding glass boards (which all the experts agree that will dull your knives in no time), we have to choose between wood and plastic types. 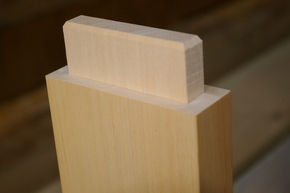 Each material has different features, strong points and weak points. But which chopping board should we use? Actually, the reason for the "dilemma" is not the variety of the offer but rather the fact that for the most important feature of a cutting board the western world experts do not have a clear winner. Of course we are talking about HYGIENE and the fact that a cutting board may harbor dangerous patogens such as salmonella and E. coli. and contaminate our food just as we are preparing it? Are the micro indents left by the knife a potential receptacle of bacteria? Many studies have been done with controversial results. It seems that wood cutting boards do not show signs of bacteria after 60 hours of use compared to plastic boards that if not washed become colonies of microorganisms. This debate is going on at least since Feb. 6, 1993, when "Science News" published an article on cutting boards. Their point was that the wooden boards could assure better hygiene but could not provide an objective proof. 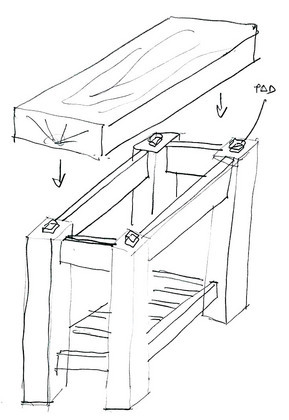 Today the advocates of wood and plastic are still impugnating old studies and experts opinions. We are glad we can now solve the dilemma. Wood is safer than plastic, but not any wood. 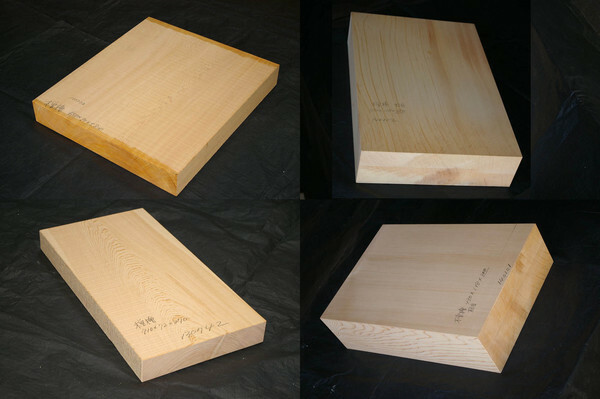 Japanese have been used cutting boards made of hinoki wood for centuries and the reason is that the "hinokithyol" natural resin contained in the wood fibers have a high bactericidal property. Hinoki is a coniferous soft wood, making it the best choice both for the sake of your knife`s blade and for your health as it would actually disinfect food as you are cutting it! 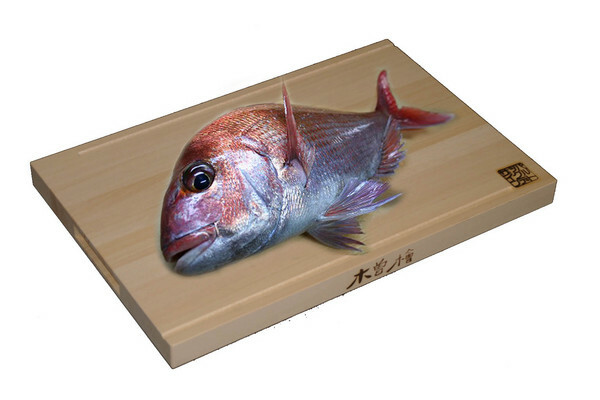 "It is like the carp on the cutting board"
It is used to mean that somebody is at the mercy the another party. Do you want to be like a carp on the cutting board? Do not let your poor knives dull their blades on a plastic cutting board. So, set aside your passive attitude in the kitchen and purchase one of our hinoki wood cutting boards! They come in 3 sizes, all gentle on the knives and safe on the foods thanks to the power of hinoki germicidal qualities. 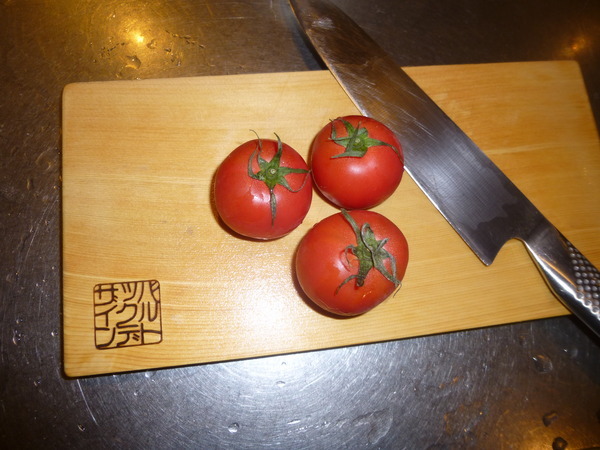 As simple as the title states, a japanese cutting board makes it for a perfect gift! It is rare and an everyday use item at the same time. Surprise your mom, partner, friend or client with a unique yet useful present! Bartok cutting boards are available in 3 sizes, check our shop or scroll this page further below. 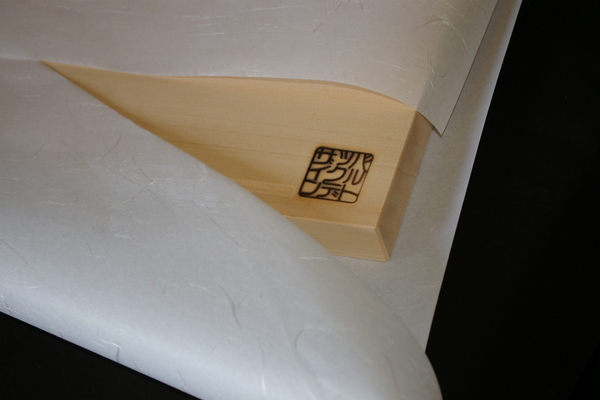 Hinoki wood cutting boards are wrapped in rice paper and can contain a personalized message as per your request. Well, this is not a tub but being a custom woodwork, I decided to add it to this section. 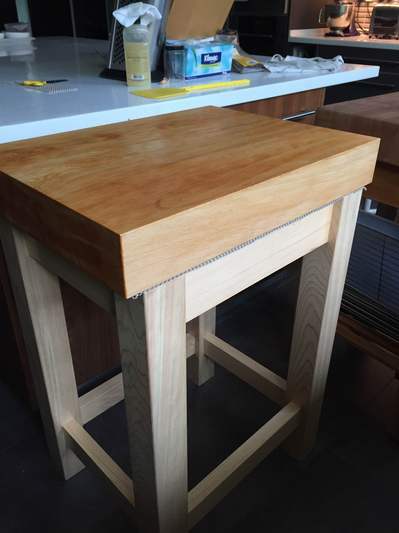 We made a chopping table for a famous chef, with a solid hinoki chopping board. So we decided to make it "knock down" so it could be shipped by EMS air mail. 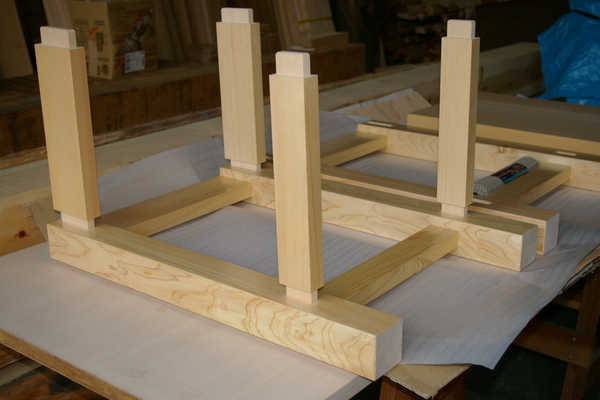 Of course the client had to assemble it but we prepared all the joints so no screws are necessary (only glue). 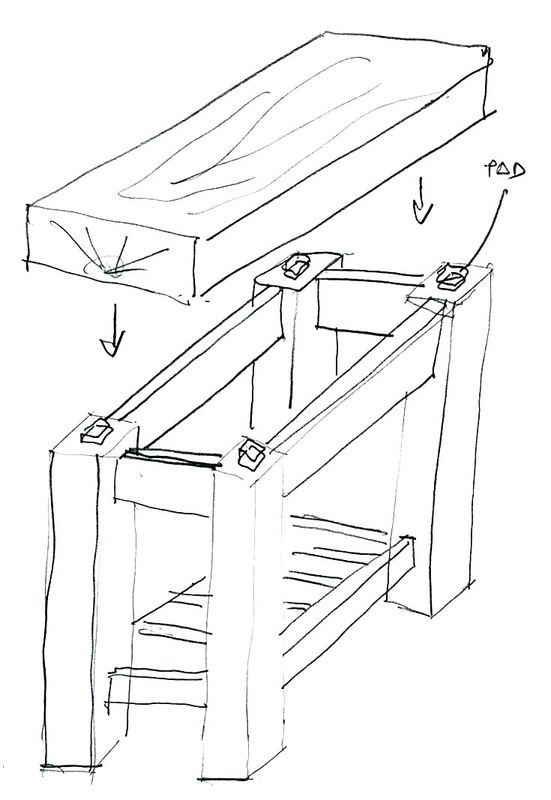 This way we could keep the cost within the price range of an american end-grain chopping table. as the board itself needs to be removed for washing, we supplied a silicon mat to be cut to size and placed between the top frame and the cutting board. 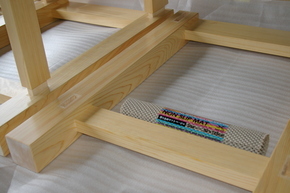 The mat　becomes sticky when compressed, so it holds the board in place preventing it to slide. Also, it absorbs the vibrations hence the sound made when chopping or cutting. to the right is the picture that the client kindly sent us! Here below are some cutting boards you can choose. Which one do you like? Japanese hinoki wood bathtub and accessories: I think this site might interest you.